axiom will transfer your data from your old phone to your new phone in 60 seconds using the latest technology. The GALAXY Tab S makes your viewing experience truly exceptional. Its brilliant Super AMOLED display offers true-to-life colour reproduction that supports 94% of Adobe RGB colour gamut compared to that of LCDs (73%). 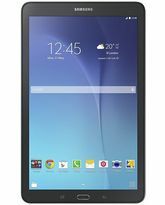 The GALAXY Tab S generates brighter and more dynamic images than LCDs with vivid colours and deep blacks. See detail you never knew existed with its amazing 100,000: 1 contrast ratio, 100 times higher than LCDs. 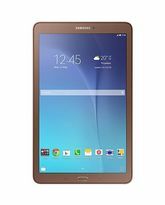 You will be surprised by the slim and sleek design of the GALAXY Tab S. The 8.4” GALAXY Tab S only weighs 294g (Wi-Fi) / 294g (LTE) and is easy to carry anywhere. SideSync 3.0 allows you to view your smartphone screen and control it on your Galaxy Tab S screen. You can also make and receive calls on your tablet. * The call forwarding feature works only with the GALAXY S5. 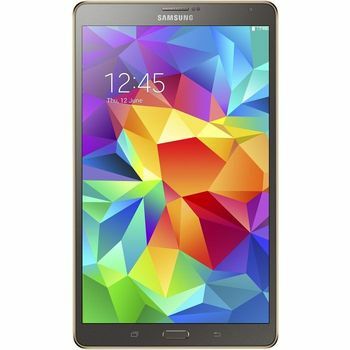 Experience a wide colour gamut The GALAXY Tab S makes your viewing experience truly exceptional. Its brilliant Super AMOLED display offers true-to-life colour reproduction that supports 94% of Adobe RGB colour gamut compared to that of LCDs (73%). Discover hidden detail The GALAXY Tab S generates brighter and more dynamic images than LCDs with vivid colours and deep blacks. See detail you never knew existed with its amazing 100,000: 1 contrast ratio, 100 times higher than LCDs. 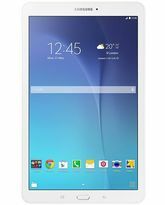 Slim and Light You will be surprised by the slim and sleek design of the GALAXY Tab S. The 8.4” GALAXY Tab S only weighs 294g (Wi-Fi) / 294g (LTE) and is easy to carry anywhere. Multi Window Multi Window lets you easily perform multiple tasks on one screen. You can browse the Web, watch videos and check email simultaneously. You can also send and receive voice calls while multitasking on the LTE model SideSync 3.0 SideSync 3.0 allows you to view your smartphone screen and control it on your Galaxy Tab S screen. You can also make and receive calls on your tablet. * The call forwarding feature works only with the GALAXY S5.